Created by Scott Stark on Jul 14, 2005 4:57 PM. Last modified by pomcompot on Nov 18, 2010 3:44 AM. To use jconsole, obviously you need to be using a release version of jdk5+. 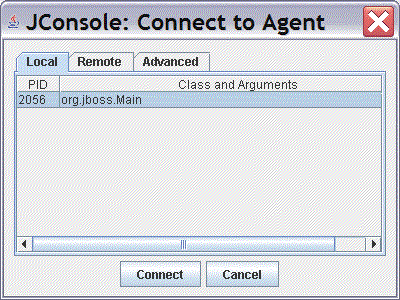 See the JBoss vs Java JDK Version Matrix page for which jboss versions work with jdk5. VisualVM is included in most JDK6 distributions including OpenJDK in Fedora Gnu/Linux. 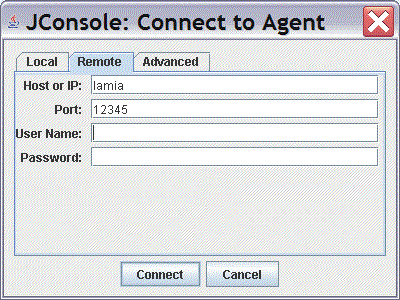 VisualVM uses the same JMX mechanism to connect to a running VM as JConsole and provides many more features. jBoss must be run with the bindAddress configured to allow remote access. Typicaly, call run.sh -b 0.0.0.0.